Shiyin is the newly appointed Chief Operating Officer of the Dialogue in the Dark head office in Hamburg, looking after the operation and development of the world-renown social franchise worldwide. She represents a new generation of young and educated Chinese who are entering the rapidly developing citizen sector. Born and raised in China, Shiyin Cai obtained her MBA with full-scholarship from State University of New York and Bachelor in International Business Administration from Fudan University in Shanghai. During her 10-year corporate life, Shiyin worked for GE, Siemens, AIG and Roland Berger in Atlanta, New York, UK, Mexico, Singapore and China, in the fields of IT, Sourcing, Commercial Management and Risk Management. After being with General Electric for almost 8 years, at the end of 2007, Shiyin decided to leave her role as the Chief Technology Officer for GE Infrastructure Asia-Pacific and pursue her dream to found the Shiyin GmbH/Global Fashion Project in Hamburg/Berlin, Germany. After the encounter with “Braille Without Borders” in 2008, Shiyin started working as a volunteer for the blind school in Tibet which changed her life path towards the social projects. A visit to the Dialogue in the Dark exhibition inspired her and the belief of the concept brought her in the team. Shiyin was interviewed by KK before she took up her new role on June 1, 2010. KK: What made you decide to pursue a career in the social sector? Shiyin: Transitioning from business world to social sector is definitely not an overnight decision. It actually took me years to seek and finally understand what God wants me to do for my life. I started my community service work during my GE days with Hands on Atlanta, Habitat for Humanity and Junior Achievements, but never thought about doing it full-time. After 10 years corporate experience and 2 years entrepreneur experience, I realized that the biggest value I could bring to the world by working for big corporations was to make the rich people richer. This really puzzled me. The encounter with Sabriye Tenberken brought me to the blind school in Tibet in 2009 and I was so struck by the students there that I started working as a volunteer advisor for them (Braille Without Borders) in charge of all communications, PR and marketing in China. This experience changed my life: I realized that what really fulfills me is when I can help make an impact on other people’s life and help give other people more opportunities on their life paths. KK: Why did you choose DiD? Shiyin: The work with visually impaired people brought me to Dialogue in the Dark. After a visit to the exhibition in Atlanta, I was very impressed by the concept because I clearly knew that what hinders the disabled people the most was not their disability itself, but the ignorance and stereotype from the society. DiD is a perfect way to bridge that gap and bring out the biggest value of the visually impaired people. Then the opportunity rises that I can contribute my business experience and knowledge to this social enterprise. I prayed for weeks and God’s direction was very clear: this is the best way for me to do something good with what I am good at. KK: What do you want to accomplish at DiD? Shiyin: DiD has been running for 22 years and already been present in 30 countries. It’s really impressive what the team has accomplished with so limited resources. I would like to start with improving, standardizing and leaning the global processes in franchising, sales, marketing, finance, legal and HR functions. I would like to work with the whole team to organically scale and grow the business to the next level, obtaining more partners from the government sector and multinational corporations so that we can maximize our impact. KK: What’s your vision of DiD in five years’ time? Shiyin: Become a public global social enterprise with a true global franchising network especially in developing countries. KK: Do you think DiD should have a presence in China? If so, when? Shiyin: Yes, of course. It’s really important and necessary for DiD to have a presence in China and we have started already: a 1-week workshop is scheduled in early Sep 2010 in Shanghai, partnering with NPI and Shanghai Civil Affairs Bureau. We are also in the process of talking with several other potential parties and we are hoping to have a DSE office in China and the first permanent exhibition in mainland China by end of 2011. KK: What challenges do you anticipate as an Asian acting as COO in an European social enterprise? Shiyin: I think the main challenges are not coming from the culture differences between Asian and European, but more from the difference between normal business culture and social business culture. There is a huge discrepancy running a for-profit social business from a for-profit normal business and I am still struggling in between. A lot of business practices cannot be applied on the social world, especially when it comes to financials. However, I am sure we will find the best solution after all. I consider myself more of a global citizen after living in US for 8 years, Germany for 2 years, several other places in the world and still commuting in between. The Asian philosophies actually help a lot in running a European social enterprise in a global setting. KK: What do you think are the most important personal qualities of a social entrepreneur? Shiyin: Passion: without passion, you cannot do anything in the social sector – well, you wouldn’t anyway. 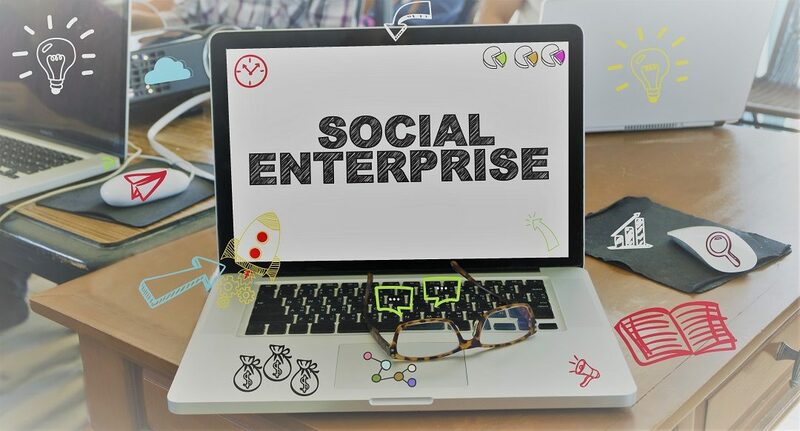 Perseverance: being a social entrepreneur can only be a lot more challenging and difficult than being a business entrepreneur. It takes so much perseverance and patience until something changes, otherwise you won’t survive. Resourcefulness: money is always a big issue being in the social sector, therefore you need to be extremely resourceful to get any help you can from everywhere. KK: What advice would you give to young people who want to contemplate a career in the social sector? Shiyin: I would advise to have some real business experience before becoming a social entrepreneur – it will benefit you a lot and make the path a lot easier. At the end of the day, non-profit or for-profit, it is still an organization that you need to run. Without the necessary business knowledge and experience, it’s easy to run into bottlenecks to scale the project later. I would never be able to do what I am doing now without the 8-year experience at GE. We actually need more professional people to come to the social world – this is also what I am trying to work on. KK: One last question, asked on behalf of some HK young people, how did your parents respond to your choice of a career in the social sector? Shiyin: Actually my parents have different opinions: my mother really supports me since she believes this is the best for me, however, my father, being a successful entrepreneur, is still against the idea. He still believes in the old fashioned way that I should be rich and successful before I can help others as a philanthropist. I used to think the same: once I become of the CEO of GE, or once I make my billions, then I can set up a foundation like Bill Gates did. However, now I think very differently: Don’t wait. We have to start from small, start from what we can do, right next to us. I am sure that my father will understand my decision one day.